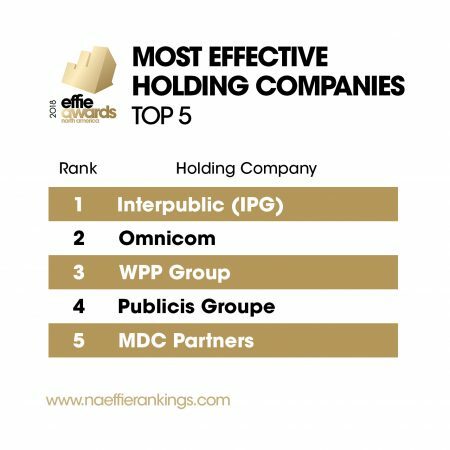 Fearless Girl already picked up top honors from Cannes Lion International Festival of Creativity, The One Club, the Clios and D&AD. Chalk up one more for the Fearless Girl. 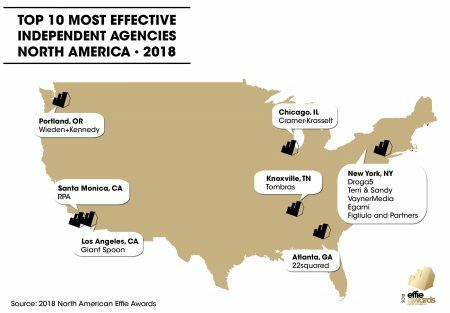 McCann New York’s campaign for State Street Global Advisors brought home The Grand Effie at the 2018 North American Effie Awards Gala last night. 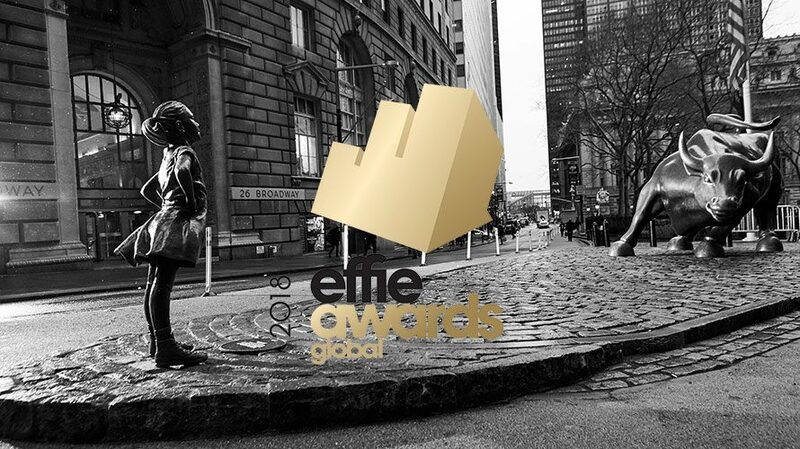 The award was debated just hours before the gala by the Effie Grand Jury, but their selection hardly comes as a surprise. 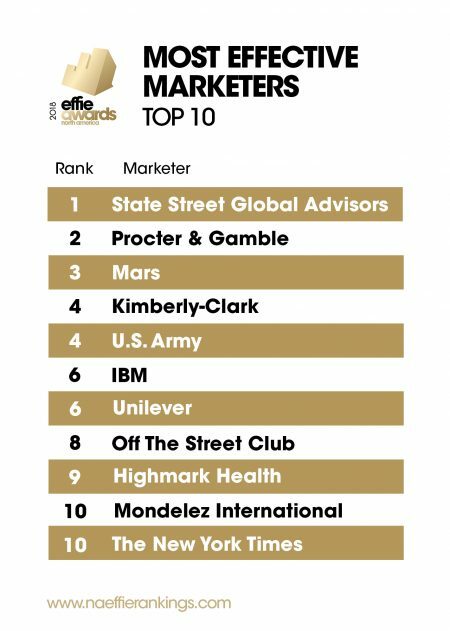 “The Grand Effie jury interrogated the Fearless Girl entry and found that not only was it effective for State Street’s business and brand, it was effective because of its creative power,” Grand Effie Jury co-chair, Publicis Groupe CCO and Publicis Communications president Nick Law said in a statement. 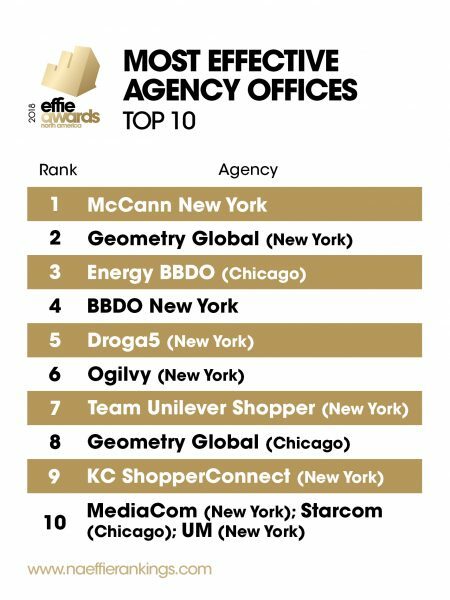 McCann New York also won the Effie for most effective agency office, McCann Worldgroup for agency network and IPG for holding company, while State Street Global Advisors was named most effective marketer and brand. 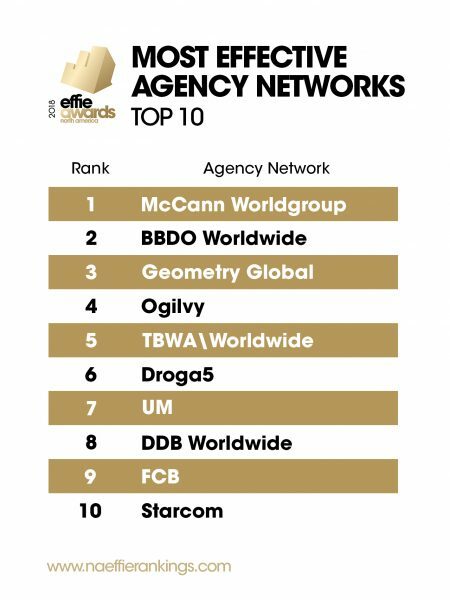 Droga5 won top honors for an independent agency.